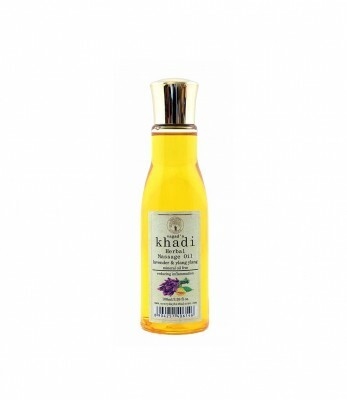 Vagad`s Khadi Lavender and Ylang Ylang Mineral Free Massage Oil helps in relaxing the muscles,lessen aches,purify and heal the skin. Vagad`s Khadi Lavender and Ylang Ylang Mineral Free Massage Oil helps in reducing the redness of the skin cause by inflammation. Vagad`s Khadi Lavender and Ylang Ylang Mineral Free Massage Oil is also beneficial for hair growth,it makes your scalp healthier.